Horsey Stuff • No Social ShareWIN!! 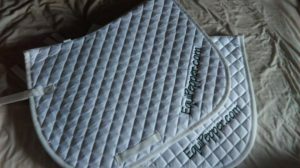 An EquiPepper Saddle Cloth!! Those of you who follow us on social media will have seen hints about this competition coming up. Well, the saddle pads are now here and the competition has started! There are 2 saddle cloths to give away. One will be won on Facebook and one will be won on Twitter. Competition closes on the 20th of July, when 2 winners will be picked at random! For an extra chance of winning, enter on both Facebook and Twitter! 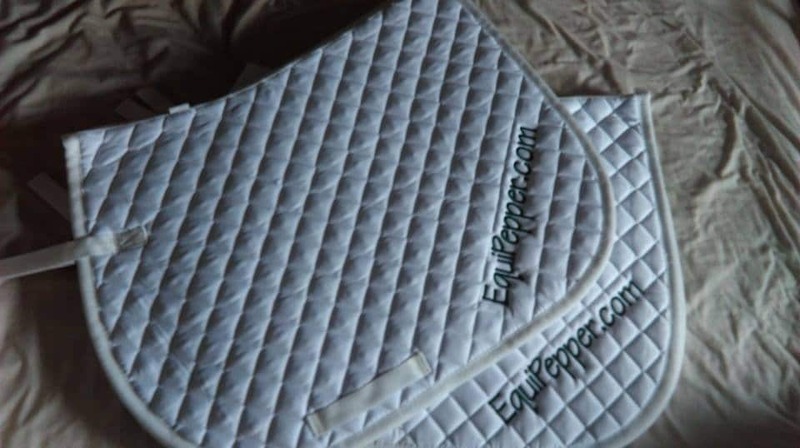 If you are interested in an EquiPepper saddle cloth, or any other branded wear, please let me know. If there is enough interest, there might be some available for purchase in the future.